Out there in cyberspace is a vast wonderland waiting to be explored. 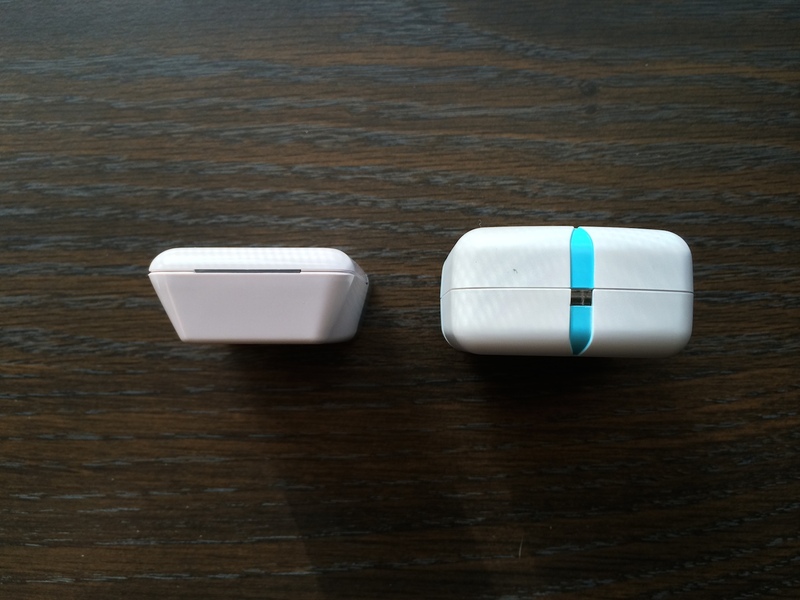 We began by slapping fitness trackers to our wrists, and plugging our lamps into smart-outlets. It was only a matter of time before our cars became more connected as well. For years now vehicle manufacturers have slowly rolled out elevated levels of connectivity. 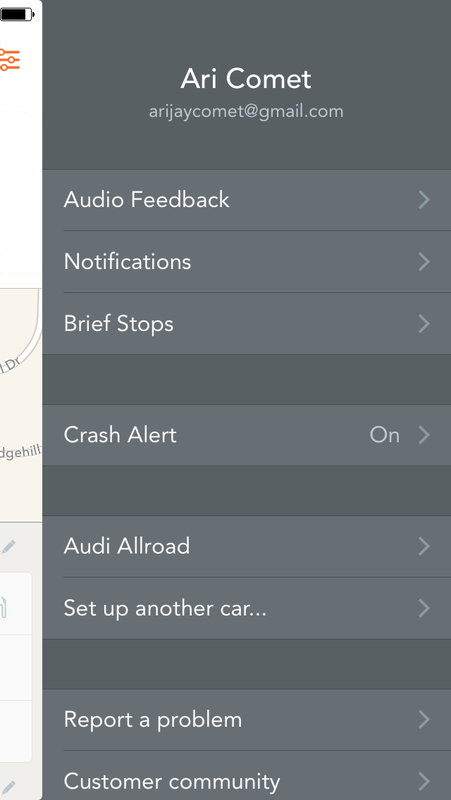 What started with GM’s OnStar services has expanded to offerings such as Audi’s Connect service. These resources are constantly evolving and becoming more commonplace even on the lowest trim-and-model of vehicles. 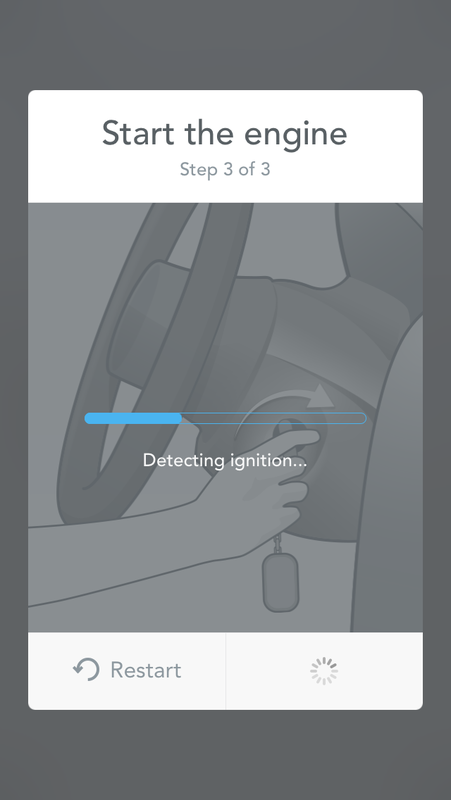 With this technology you can perform tasks using an application on your smart phone that can lock/unlock the car, locate your vehicle, check maintenance items– and much, MUCH more! However not all cars come with these features, and they tend to be somewhat limited to what the manufacturer thinks you’ll need. For example, my wife’s 2012 Nissan Leaf won’t allow us to lock/unlock the car remotely, or see GPS-related data from our trips. But it does provide efficiency feedback (visible only on the desktop portal). And though we can start the HVAC system remotely from our phones, or start a charge cycle in our electric vehicle, the usefulness of the navigation integration is very limited. 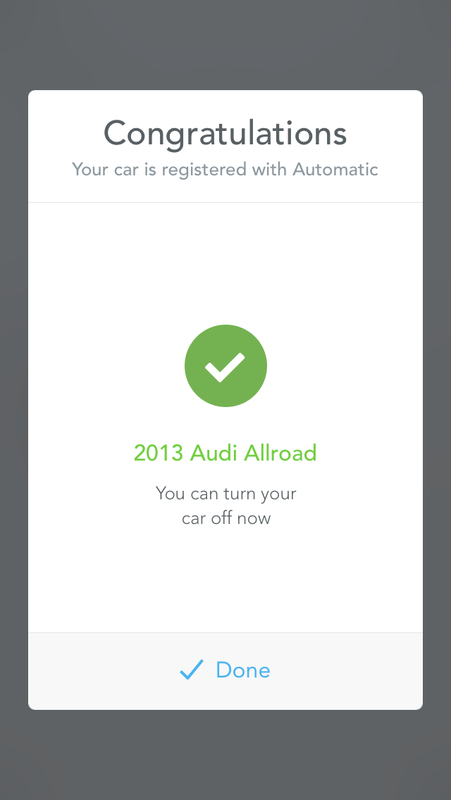 In the case of my 2013 Audi Allroad, their mobile app allows me to send navigation destinations to a cloud service to pull down more easily on the vehicle, and I can even save parking location data, but that is pretty much all you get. From within the car you do get a few more goodies, such as Google mapping/search features, but nothing that rates your driving style or provides efficiency feedback like the Nissan offers. Though I suspect it won’t be long before many of the features you’ll read about below make their way into the mainstream standard vehicle offerings, two companies are racing to fill the current void left by owning an older car, or by the typical slow adoption that most auto manufacturers have to technology. Additionally, there are social aspects of the apps for both devices here that are unlikely to be part of anything a auto company would offer, that might help them stay in the fight. Let’s begin looking deeper at what they offer. At the time of this blog post the Zubie is not yet available in retail stores, but can be purchased online from BestBuy or Amazon. 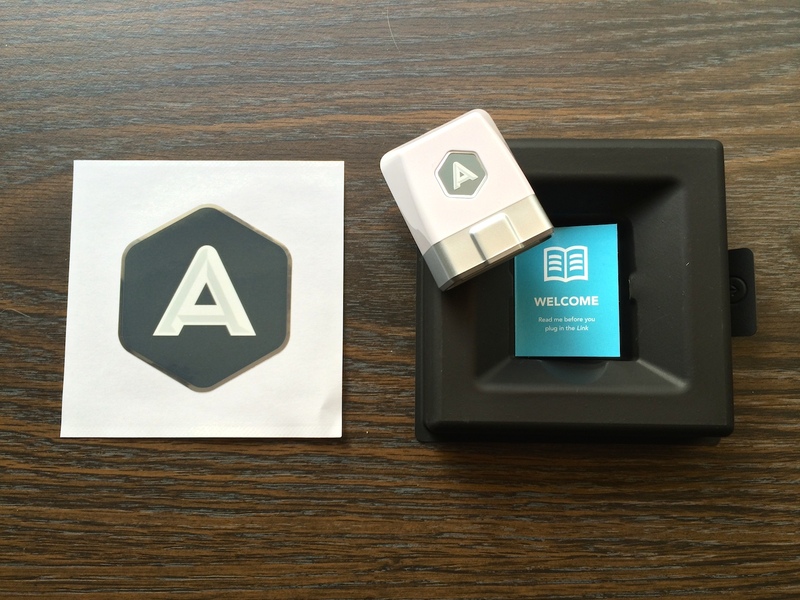 As such what you get comes in a basic white box, adorned with simply their logo only. This is obviously far from the final retail packaging you can expect down the road. This device is relatively new and just slowly rolling out around the country, so as time passes the packaging may change no doubt (and improve). 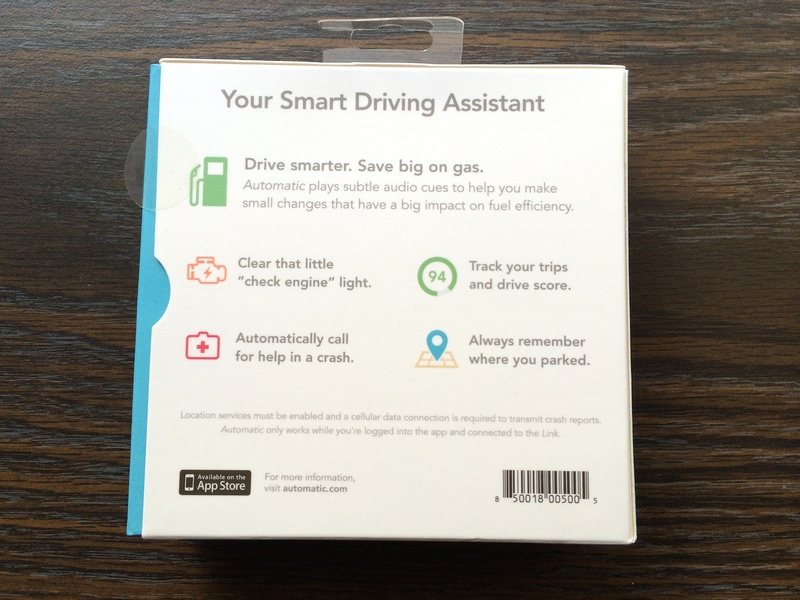 In comparison, the Automatic has a more conventional retail packaging, providing more shopping data on the outside of the box as you might expect since it can be found in big-box stores already. Contents inside the box for both items mimic one another, providing just the small dongle piece of hardware, and very simple quick-start instructions and nothing more. 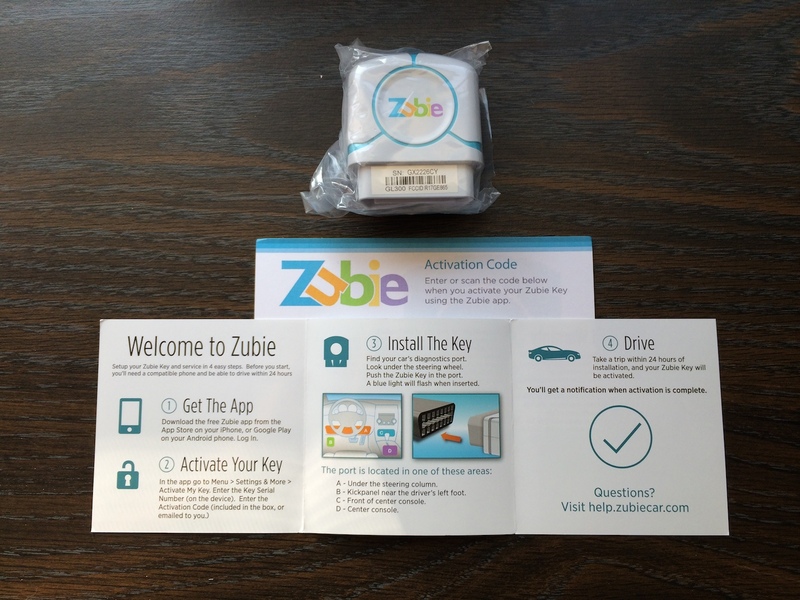 For both the setup process requires you enter some data, typically using your smart-phone (the Zubie allows you to use their web portal as an alternative) and the rest of what you’ll need to know gets explained during setup. Size-wise the Automatic is quite notably smaller than the Zubie, most likely due to the fact that the Zubie provides a cellular connection versus the Automatic‘s likely smaller internal bluetooth hardware. Though I have to wonder if they couldn’t slim it down more? Depending on how your car’s OBD2 port is situated, the smaller size of the Automatic is definitely more attractive. In some cars the OBD2 port sticks straight down towards the driver’s legs, so a smaller/shorter dongle is ultimately going to be better in most cases. Note there is a slit in the Automatic for noises to emit (more on that later), and the Zubie has a small LED at the top for status visibility. In a moment I’ll discuss the setup process in more depth. But first I want to point out that while the Zubie website showed our Nissan as compatible, that turns out to not be the case. 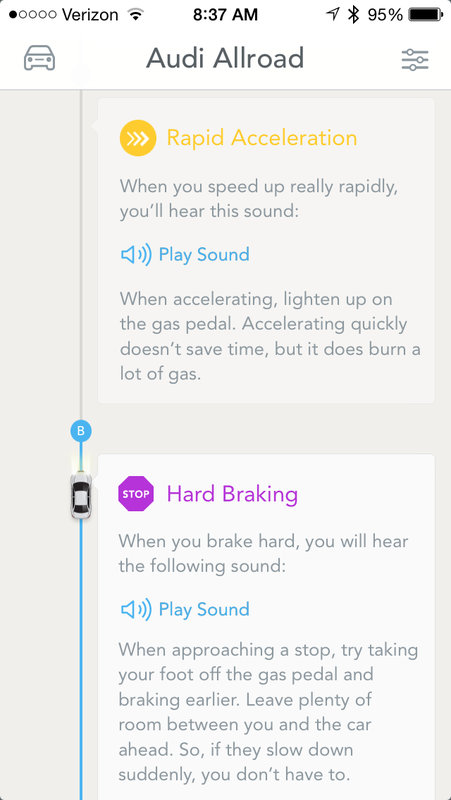 When the setup process attempts to detect ignition on the car it fails out, because again the Leaf is an all-electric vehicle. The same can be said for the Automatic which I tested for fun– but at least they said up-front that their device wasn’t compatible. After emailing the folks at Zubie they admitted that their device is NOT able to work with EVs, and claimed they would update their web site to reflect this error. 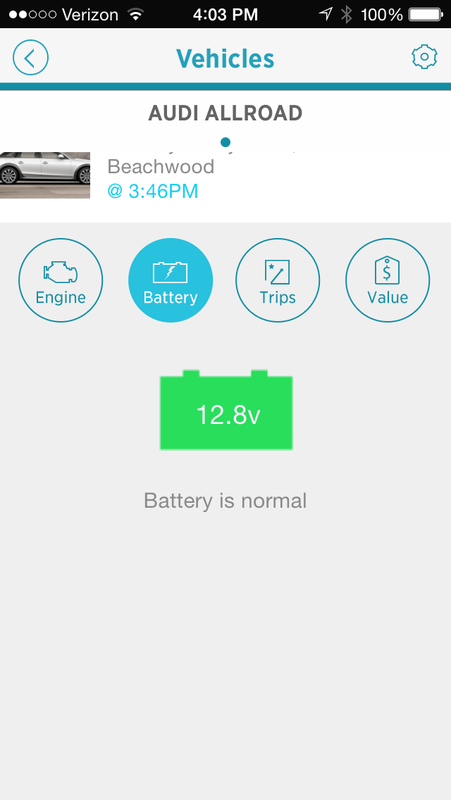 So beware– if you have an EV, neither of these devices work. Luckily we own two cars and the Audi is a regular gasser, so that is the vehicle used for the testing/review below. 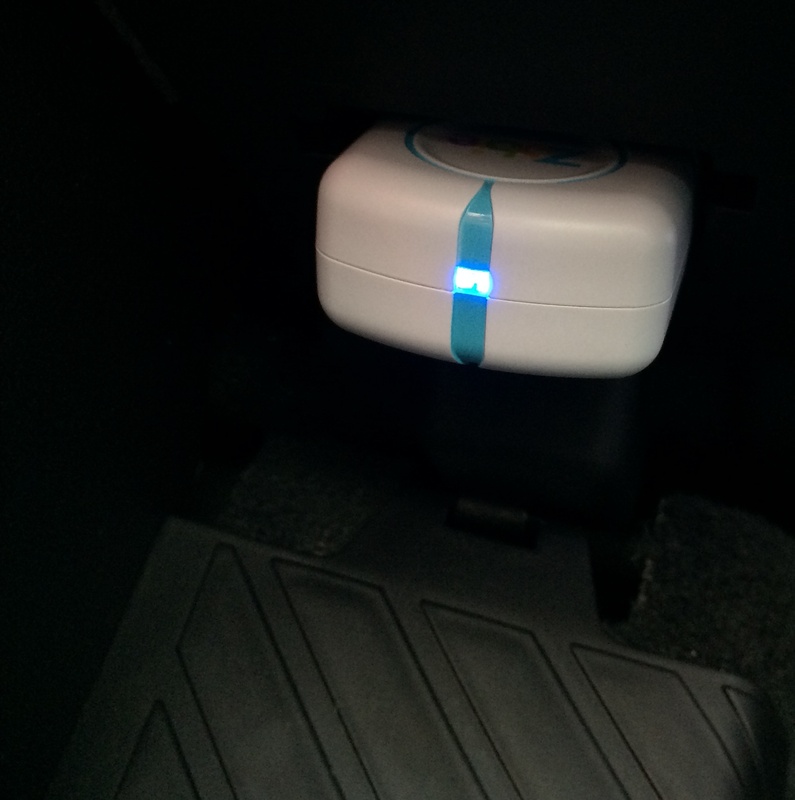 First in my testing was the device from Automatic, which I installed in the Audi. Setup on this device was notably easier than the Zubie, partially because it required no special activation code. 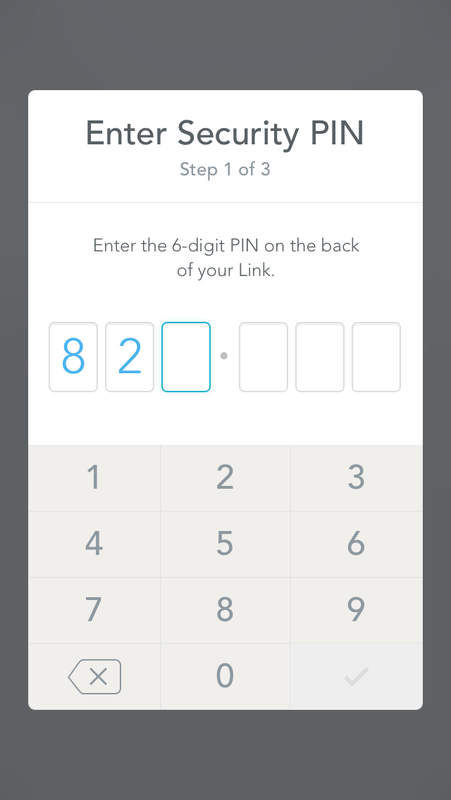 You launch the free Automatic application and create a username and password. 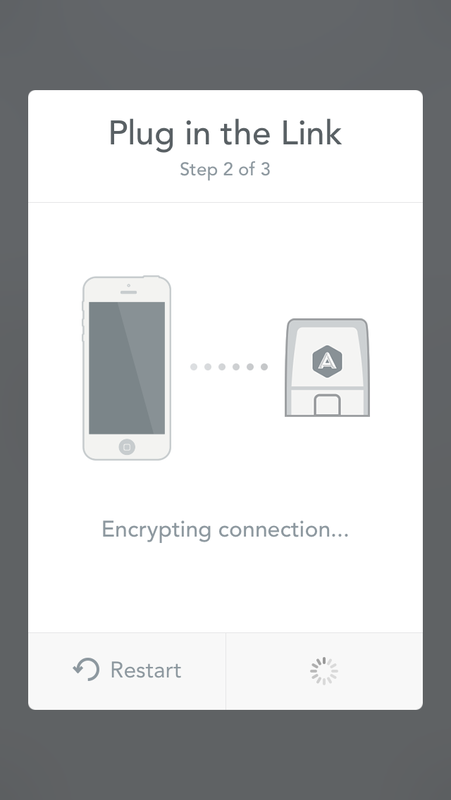 From there you step through a painless and swift process of activating your dongle. 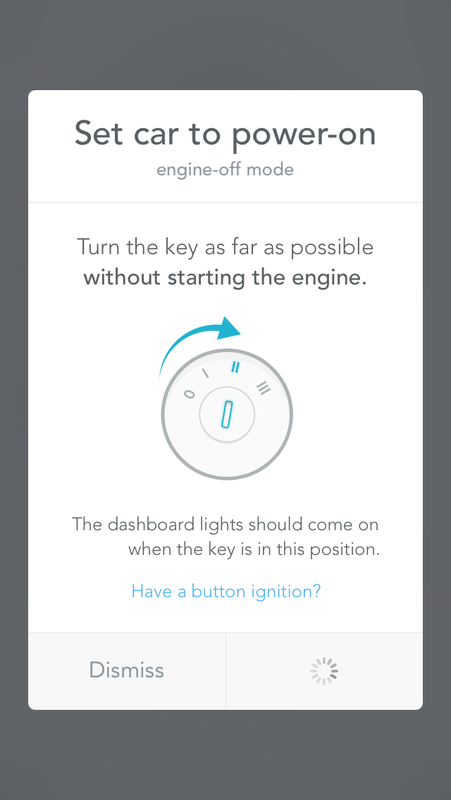 First you enter the 6-digit PIN code on the device, then plug it in, then start the car. Done! 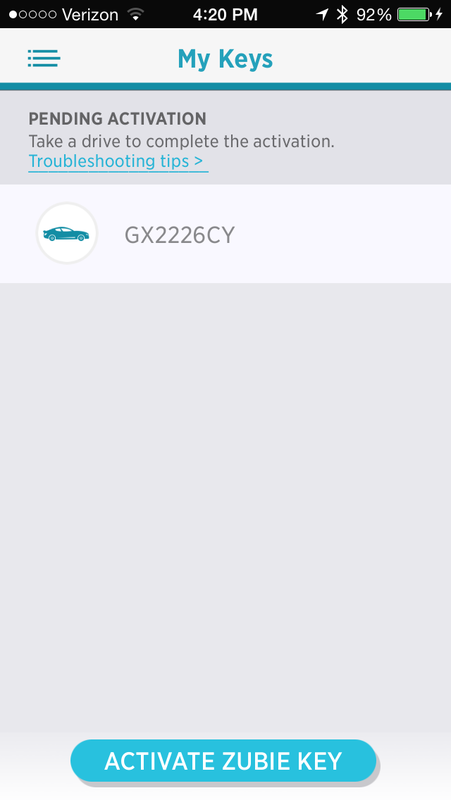 Once you are setup there is an extra option to use the Crash Alert system which provides you a way to add up to three emergency contacts (for now I’ve added only my wife). Below are 9 images showing the setup process as well as three images showing some basic “getting started” information. I found this was a VERY nice, easy setup process with minimal fuss, and a quick read on how it all works. I’d give the Automatic an A+ for setup and installation, likening it to the high quality experience I have had setting up Fitbit fitness tracker devices. 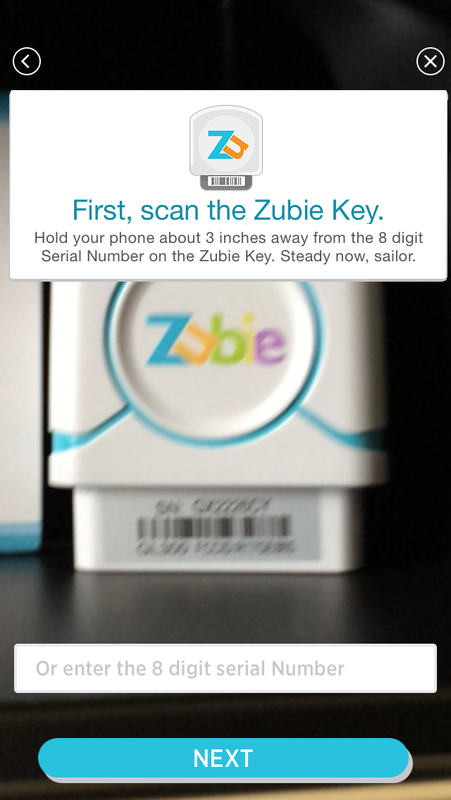 In contrast to the quick experience of setting up the Automatic— the setup of the Zubie device is much less enjoyable. 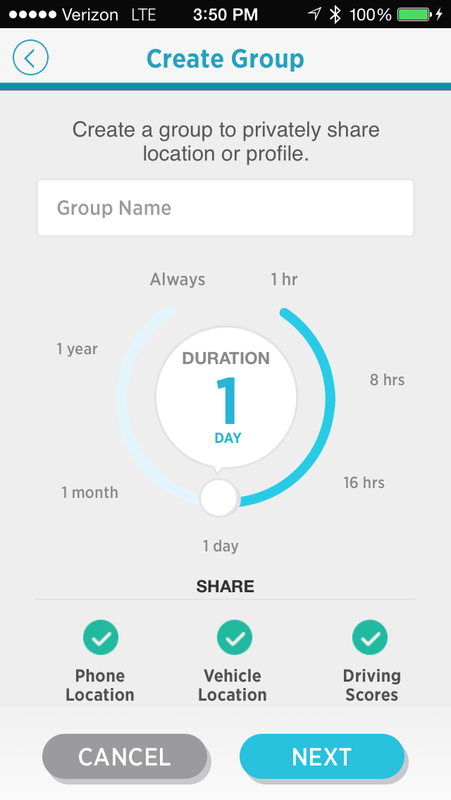 First off the app just lacks the polish and simplicity of its competitor. 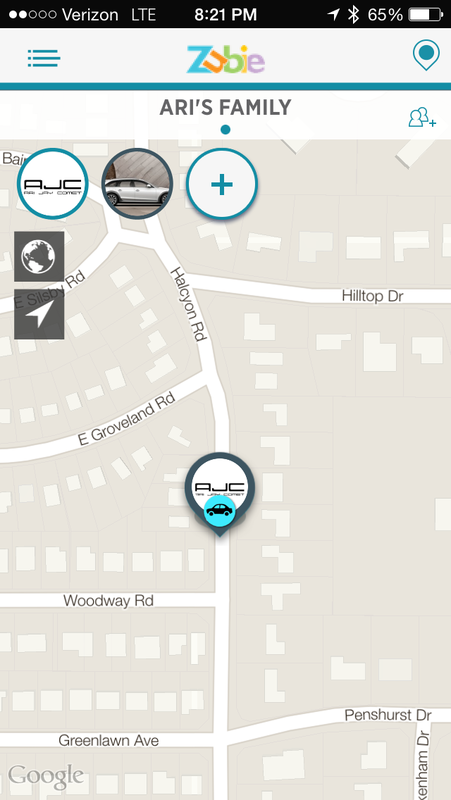 Then there was my hurdle of trying to setup the Zubie on our Nissan, since after all their website said it would work. After finding the Zubie did not work (as their support team verified by email), I tried to move it over to the Audi after finishing testing of the Automatic on that car. 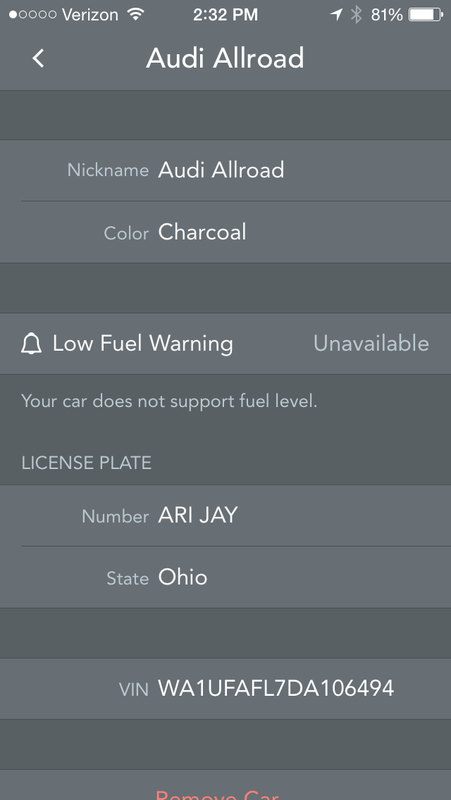 However the device was locked in some “error” mode, most likely due to my failed attempt to activate it prior on the Nissan. 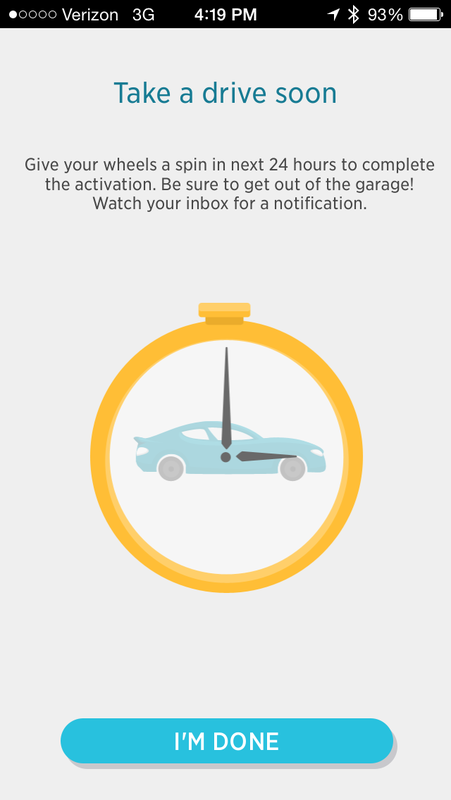 It took a few days of waiting for Zubie to reply to my email before they were able to reset/resolve the issue, and get it working on the Audi. I’m not going to say this was entirely their issue, but I do feel their odd code-based activation method played heavily into the increased hassles that I experienced. 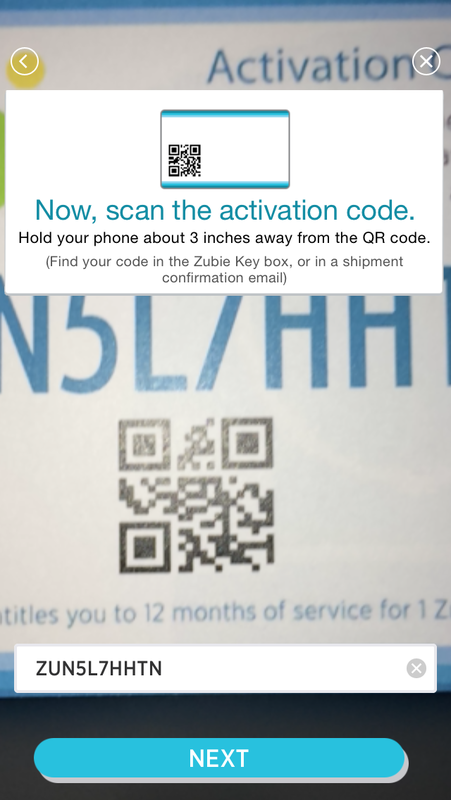 Once that step was done the next requires you scan the activation code, which did actually scan properly. (This code comes from a small sheet of paper included in the original packaging, and is a step required because of the cellular service, which I will discuss more later in this review). 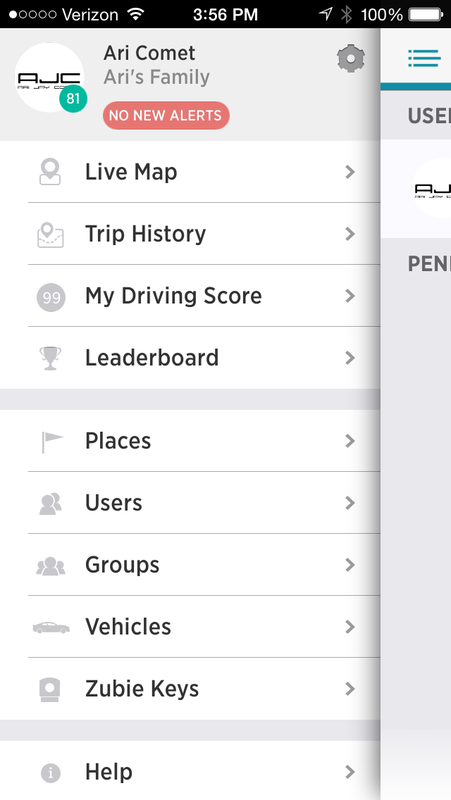 Finally you reach a page asking you to nickname your car, set a primary driver, and enter the mileage/VIN. In the case of those last two data points it was odd to me the dongle wouldn’t just get that itself from the vehicle, and entering it was a hassle. To obtan the mileage my Audi requires you turn it on to at least accessory mode to light up the LED display for mileage, and the VIN in the driver door didn’t want to scan by their software. So that meant entering the entire string of characters manually, which was a bit of a put-off for me, especially when compared to the Automatic. 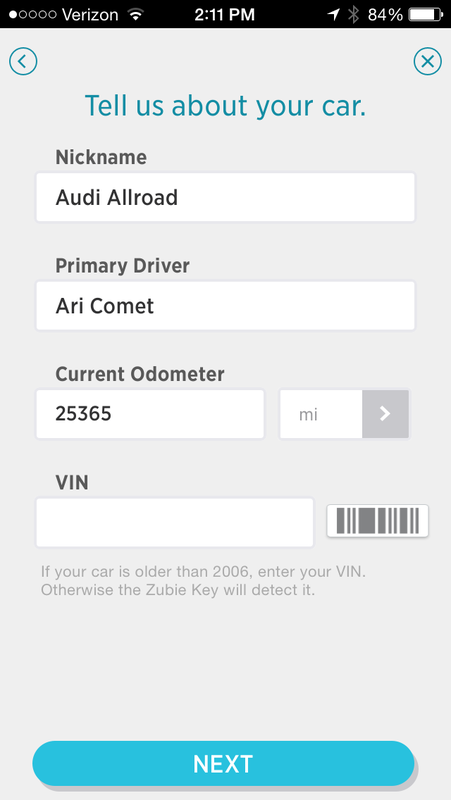 Note: I later realized the Zubie DOES pull down the VIN automatically, but not the mileage. So you can leave those fields blank if you prefer. With both devices finally setup and ready to go it was time to start driving and run some comparisons. For simplicity here I’ve broken down the following sections into one for each device, since beyond their core competencies there are features that are exclusive to one versus the other and better suited to explain per-device. After spending some time with both devices the Automatic clearly has a simpler application, due greatly in part to the lack of social sharing. 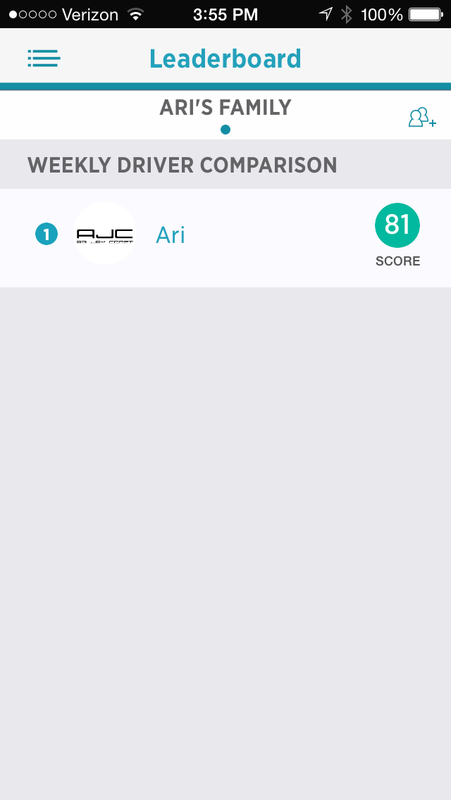 Both devices provide driving feedback/scores, but the Automatic application just does it cleaner, with a more user friendly interface. 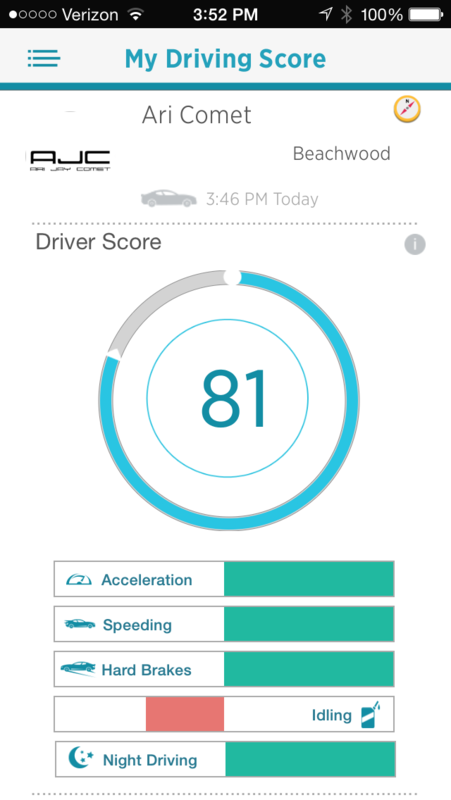 At the root level both are quite similar, monitoring your driving and recording things like hard braking, rapid acceleration, and travel speed. One thing about the Automatic that I really liked over the Zubie was the built-in speaker that would make three distinct sounds for the three major “violations” you could incur. There were settings to disable these sounds if you wanted, and you can even set the “speed feedback threshold” to your own personal desires/speed. (See their blog post about speed, costs and other pros/cons HERE). Here are some device/application settings images, below. 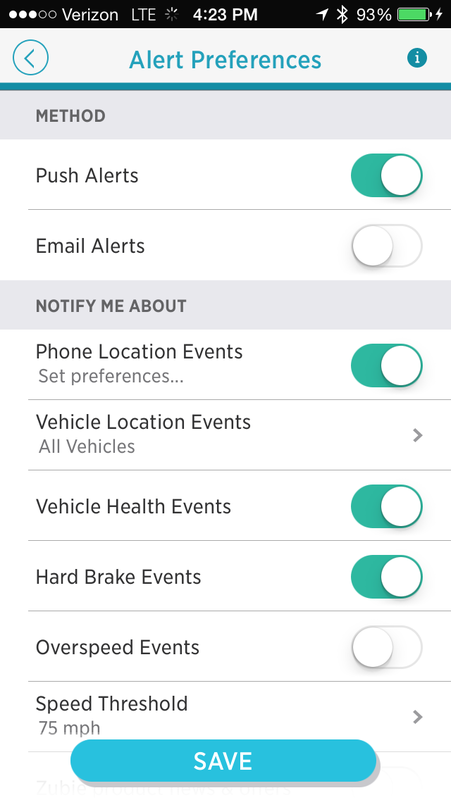 You have the ability to turn off notifications to your phone, group short trips together, and utilize the Crash Alert feature. Some simple nicknaming and other data of the vehicle(s) can also be done, and that is it. Not a whole heck of a lot to report in the settings aspect of this application. 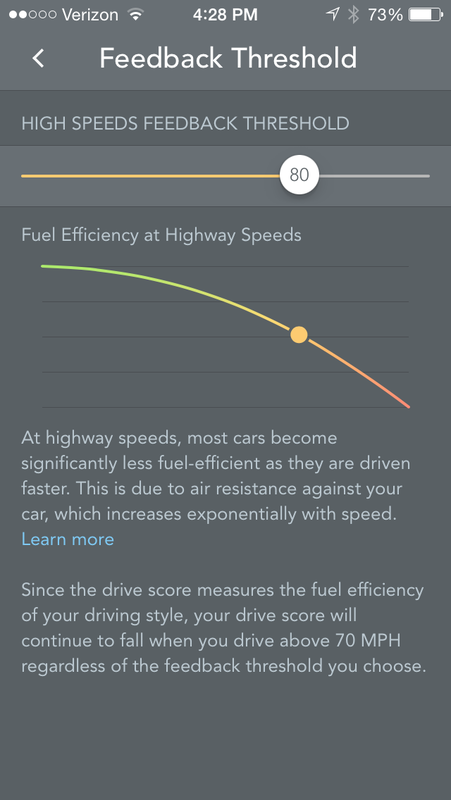 Again it really has three primary core competencies and that’s it: monitor and report on your driving efficiency, handle crash alerts if needed, and apprise you of your car’s health when the “check engine” light comes on. Two added benefits of the device are the GPS-based driving data (using your phone’s GPS), and access to that data on the web. It is worth noting here that the Automatic ONLY works when a bluetooth phone is hooked up LIVE (see this LINK), otherwise no recording takes place and no data will be pushed to the cloud. However most of us have our phones on when we drive, and Bluetooth is typically enabled already for your hands-free phone system, and using BT 4.0 the battery usage is slim. 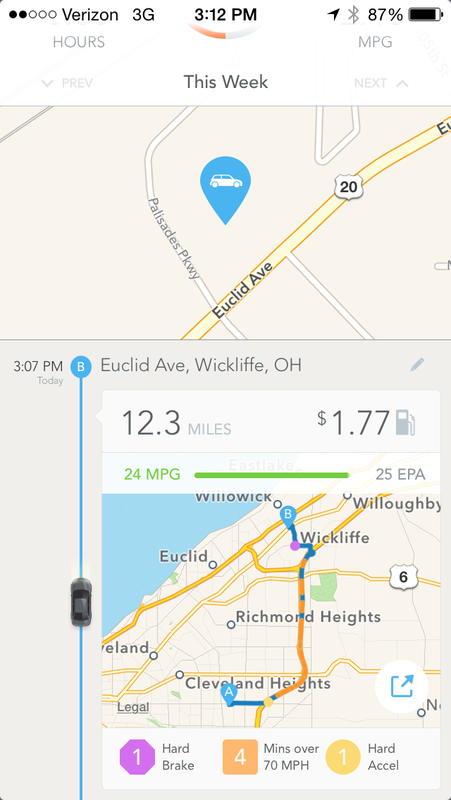 Also, the GPS on your phone switches to a low-energy geofencing mode when you’re away from the car. 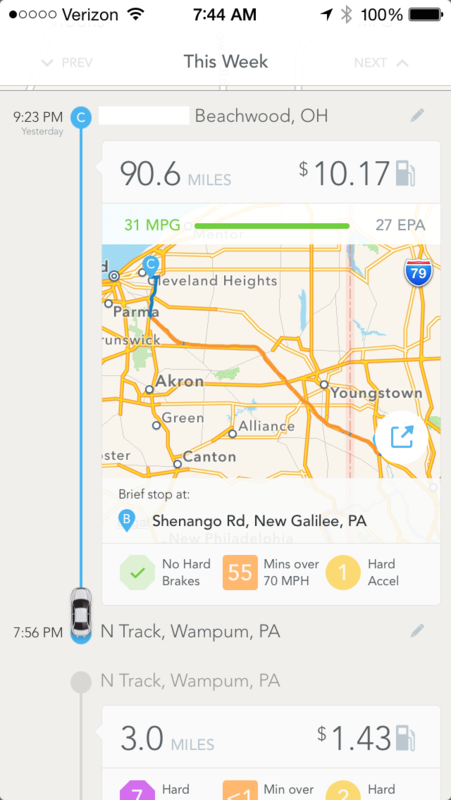 These GPS features provide awesome mapping data on their web portal, and also allows you to open the app to see exactly where you parked the car. 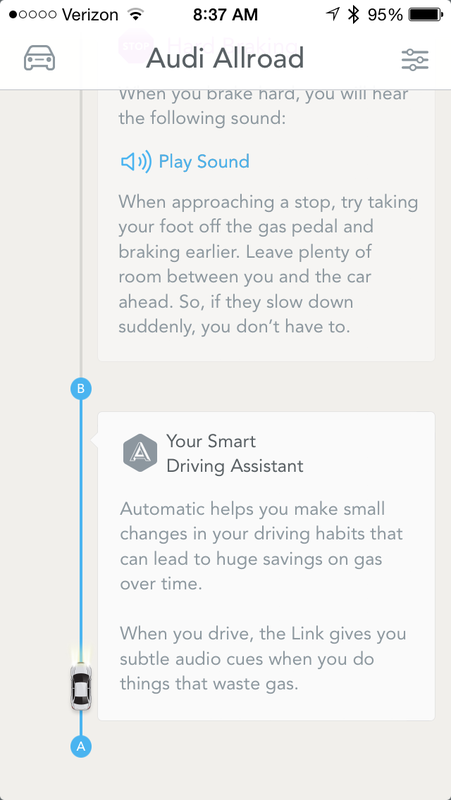 And if you’re a fan of the “Internet of things” and aware of IFTTT (If This Then That), you’ll be pleased to know Automatic can serve as a trigger for events, such as texting your spouse when you’re headed home from work, and much more. Here are some screen shots showing the feedback & data that is provided by the application on the phone app, which is where I suspect MOST users will review the information. The desktop experience is a bit richer in context. Please note that we drive my wife’s car daily, but the Audi only a 2 or 3 days a week, hence the seemingly limited data you see here. For comparisons sake I reset the trip computer on my Audi during some of the longer legs/trips, and it was always within 2% or 3% accuracy of the Automatic app– so they both worked nicely and similarly in their math. SIDEBAR: You’ll find above one funny photo (not intentionally phallic, but bonus!) that shows part of my recent track day driving experience. 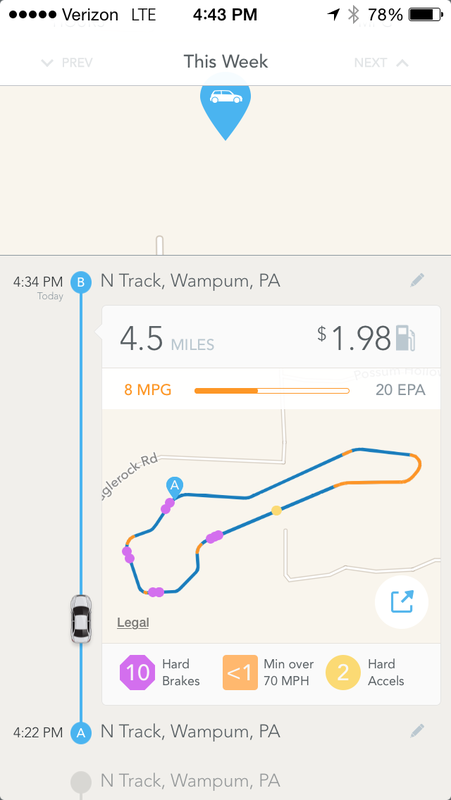 Since the Automatic was already installed I just left it in there– this did heavily hurt my overall score during testing, but it was really cool to see how the device worked actually fairly well on-track. And since that was truly part of my driving of the car during my testing I left it in. Good for a laugh if nothing else. 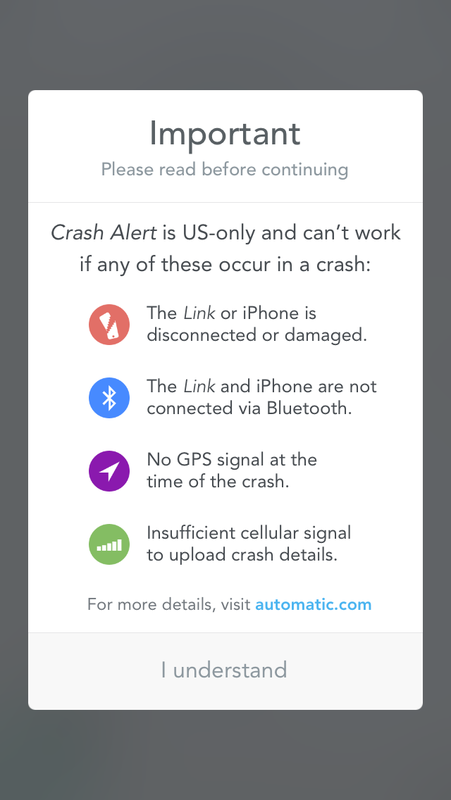 Luckily I did not get to test the crash alert system that Automatic offers. 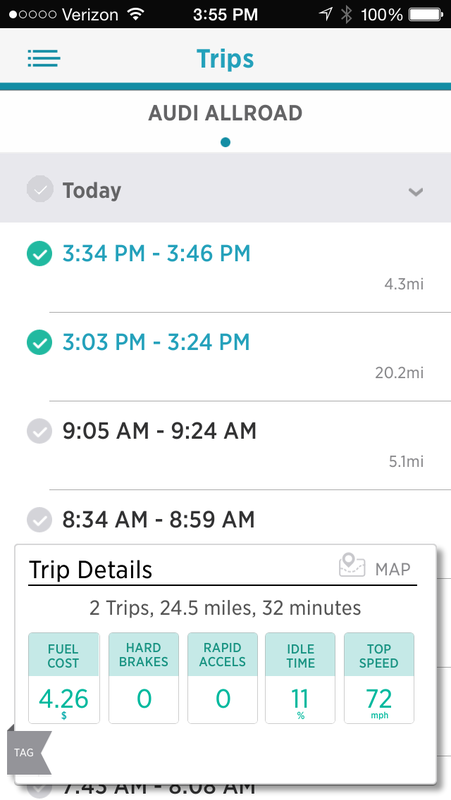 And as you can see from the data above you get a nice, clean explanation of each trip, with the option to view an overview map. Generally speaking I was VERY happy with the Automatic device for simply the driving dynamics insight and would recommend it for those merits alone. But you also get the added health-related benefits, which I was able to test because I was also testing a special high-flow catalytic converter on my car during the trial period. This meant that I had various CELs occur, and was able to read them, feed them back to the performance shop who wanted that data, and then also clear the codes when desired. 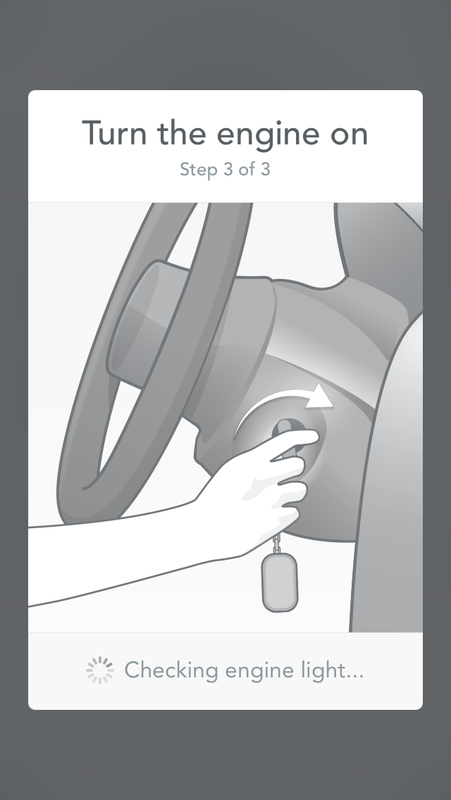 Shown above is what you’ll see when the indicator lamp comes on. 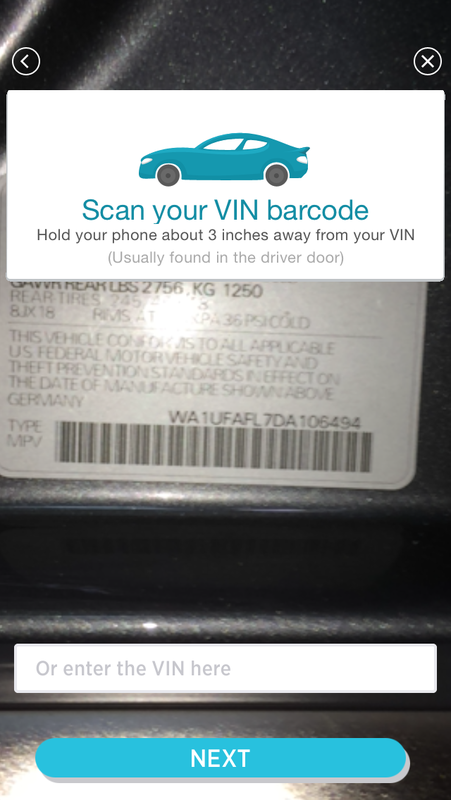 Not only does the phone have a notification that pops up, the car also provides a quick link to search the web for more information. It opens Safari browser (iOS) and takes you to a great search string, finding posts on various car forums and other useful help tips. 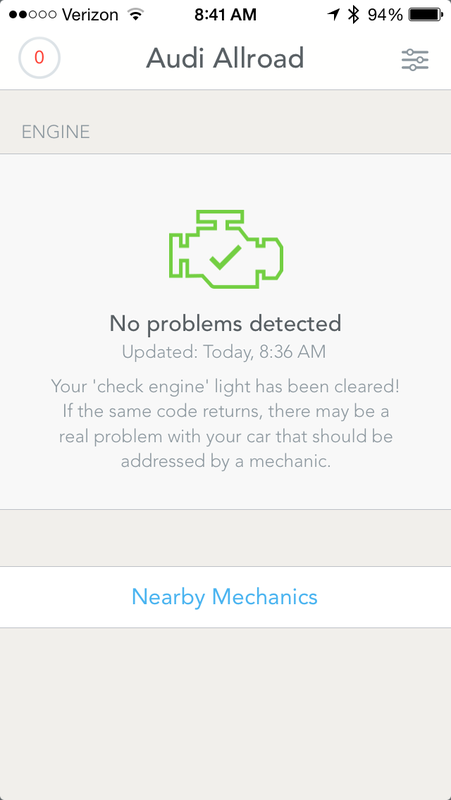 You can also do a quick search for nearby mechanics, god-forbid this occurred while on a road trip in an unfamiliar city. Clearing the code was equally as easy, shown in the steps/images above. 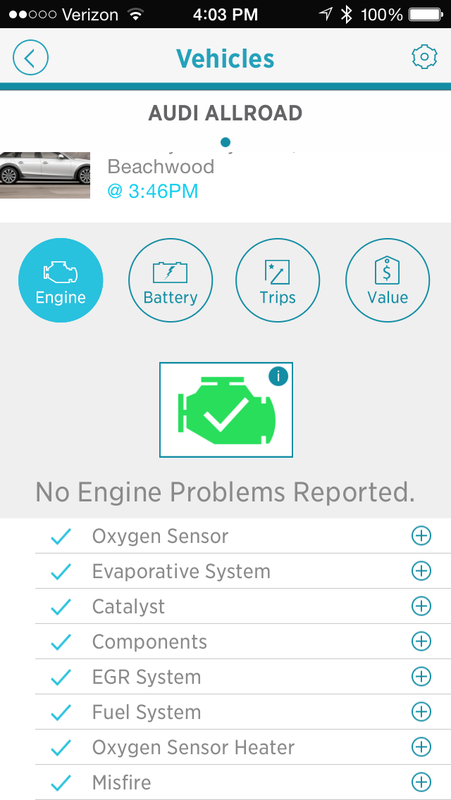 I would love to see them expand upon this diagnostic set, offering advanced users some of the features a more complex OBD2 scan tool can provide. But for the general consumer this was more than ample. My only other complaint was the requirement to shut off the engine before clearing the codes, though that is probably safest. 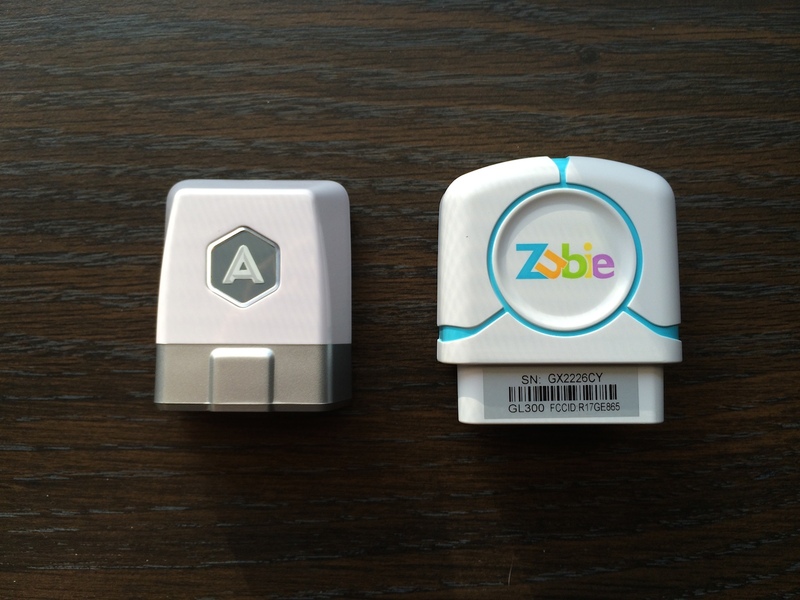 As I had mentioned earlier, the size of the Zubie is bigger than the Automatic. 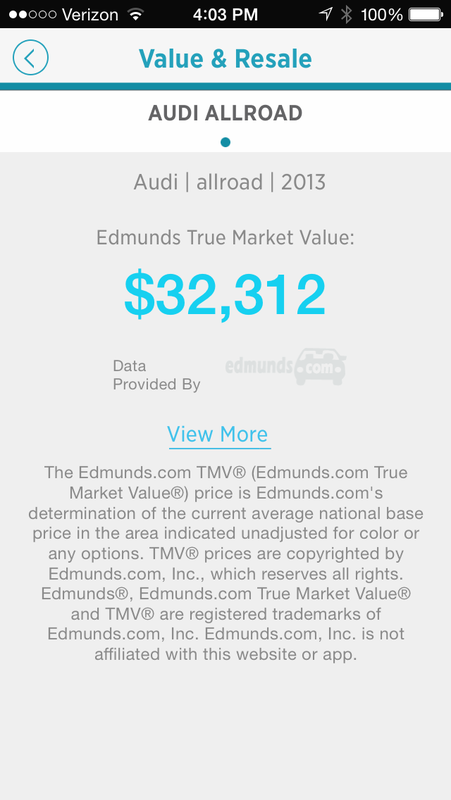 This didn’t really seem to matter in the Audi, where the OBD2 port is way down near the kick pedal. However the blue LED, shown below, was impossible to see at this location. This proved a bummer because during setup that was the only way to make sure the unit was communicating properly with their servers. But once the unit is up and running there really shouldn’t be a reason to even need the LED. 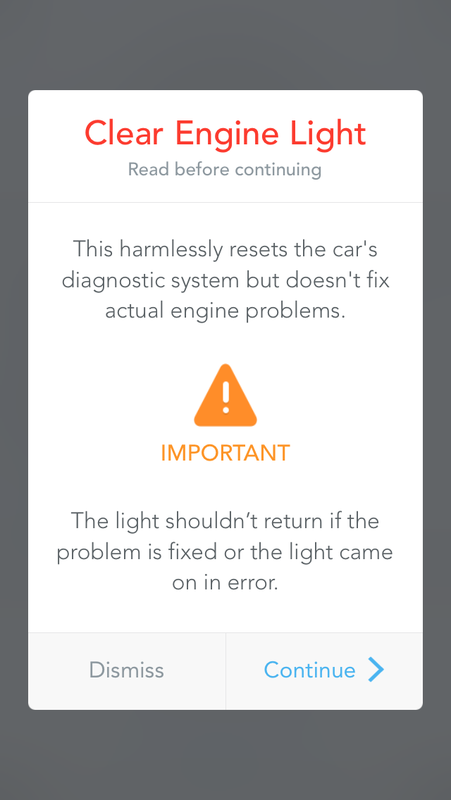 Since it does not sync directly to your phone, however, this LED can be helpful when troubleshooting with tech support, which I had to do to get the unit running right because of my failed attempt on the other car. Once you have it working the LED is typically off. 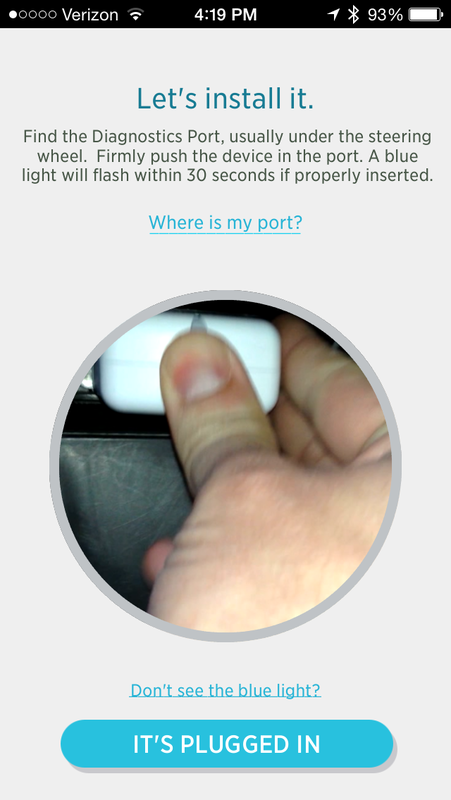 However, after each trip the LED will flash/illuminate to indicate it is sending data from the prior trip to the server. It also flashes colors during firmware updates, which are all downloaded over-the-air. Let’s talk for a moment about one of the huge differences of this unit to the Automatic, because of the 3G versus Bluetooth connection. As I said in the prior section, the Automatic will not record any data if you don’t have your phone on your and linked to the device. That means if you have a family sharing a car and your kid/spouse/neighbor borrows the car, you won’t likely record that data with the Automatic unit. 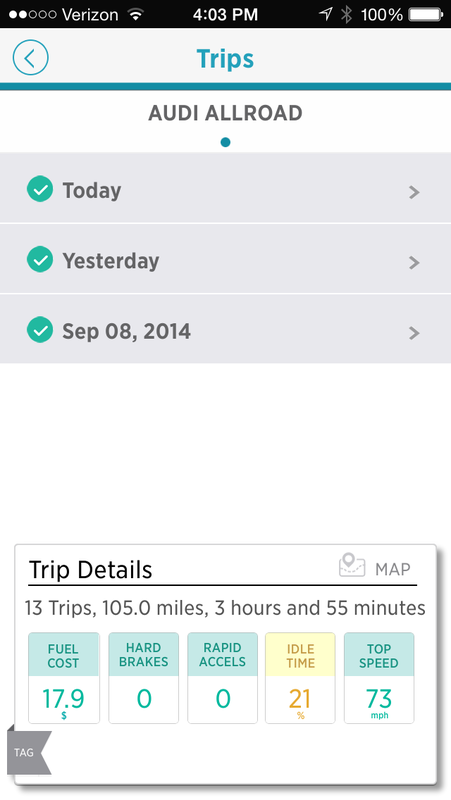 But with the Zubie unit (which has GPS/3G built-in), you never miss a trip. And furthermore, you can also see where that car is located at any given moment. That means so long as the unit remains plugged into the OBD2 port it actually serves to work a bit like a LoJack unit, which is pretty nice. Where the downside comes is the cost. You get a free year of service, but there is a cost of admission after the fact. It took a bit of snooping around the website but I eventually found the registration costs once my unit was active. You can see below that my service is now good for that first free year, but will cost $99.95 for each additional year of service. Assuming there is no data limit here (drive as often as you want), that really isn’t a bad deal for 3G service and GPS location of your car. But it is worth pointing out that this unit is NOT free. 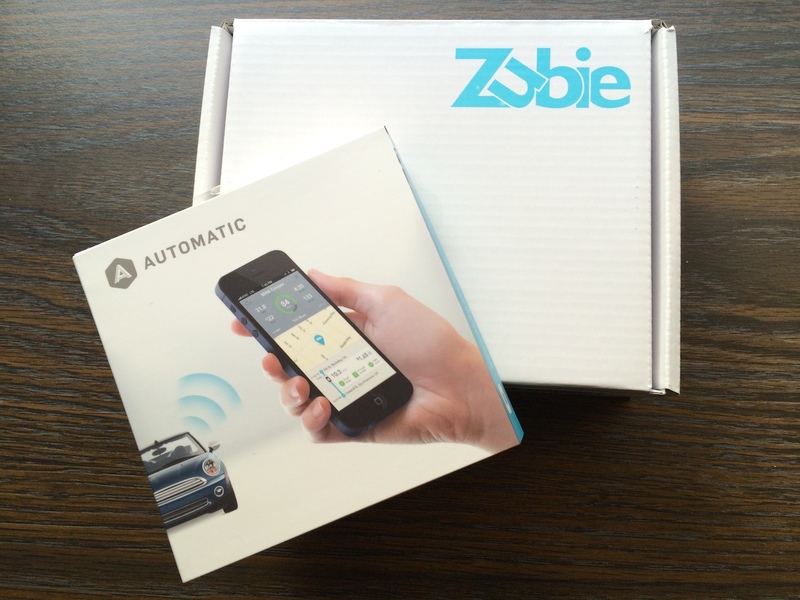 By using your phone, the Automatic can provide free on-going service, compared to the Zubie’s nominal fee structure. One thing I instantly did NOT like about the Zubie was the fact that it separates the users from the cars, but I see the merits there. 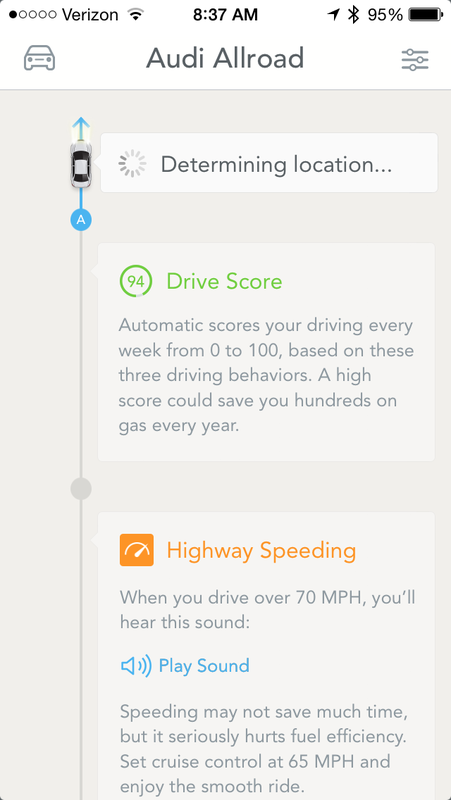 They are pushing this device for insurance companies (see the recent teaming up between Progressive Insurance and Zubie), but also in corporate/fleet settings. 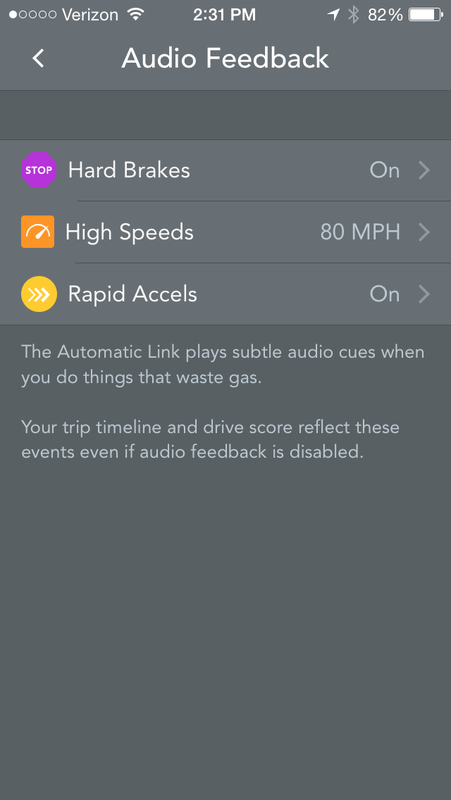 In those cases knowing which driver is being inappropriate or careless is helpful, though this feature set did not apply to me as the typically sole driver of my vehicle. Worse yet, the GPS on the phone stays on, so it became a huge battery drain. 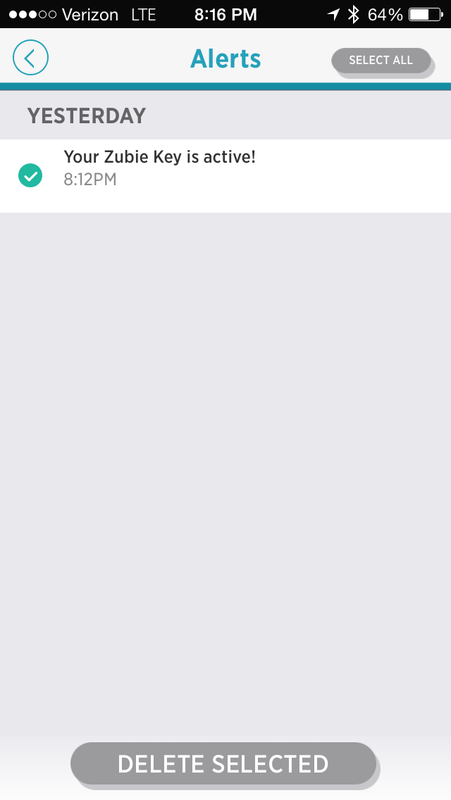 You can turn that feature off in “Track my Location” as you can see below. 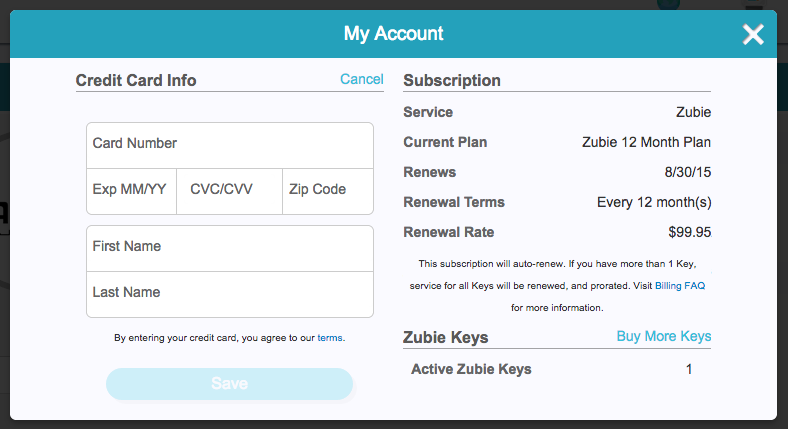 There are other preferences that take Zubie to a level beyond what Automatic offers. 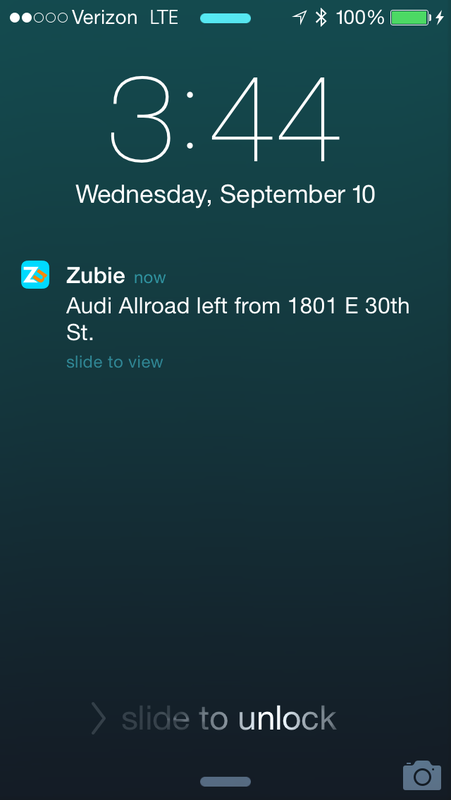 Because Zubie is very location-based, you can setup alerts that pertain to locations. 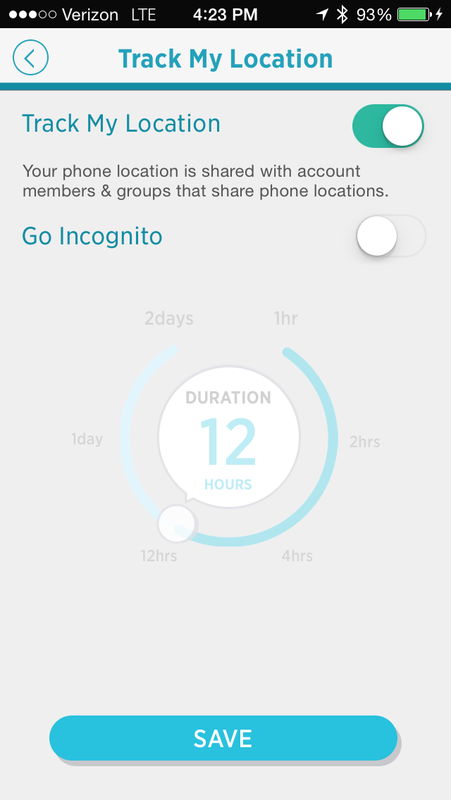 Want to be notified if someone goes to/near a location they should not? How about notify you so you’re aware when your kid leaves the school? 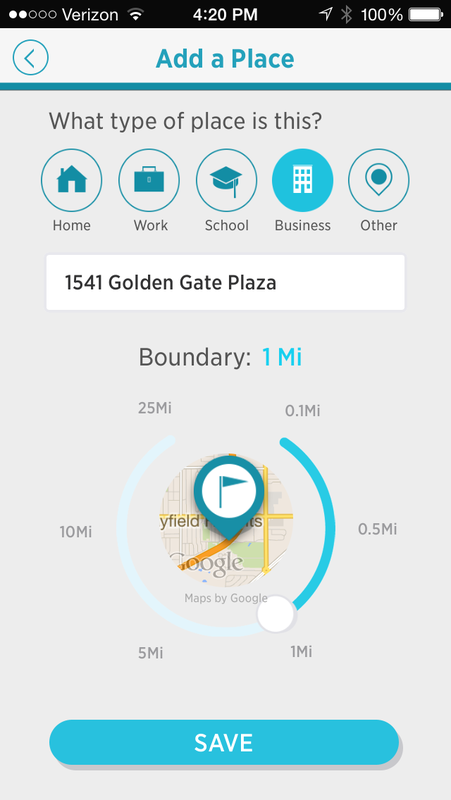 You can create Places (as they call it in the app), setup a type, a geofence around it, and so forth. Motion Monitor was another interesting feature (but I did not test it). Seems like this would be a good option if you were parking your car long-term somewhere, like the airport while away on a trip. Groups are another feature that I did not test, but that seemed geared for trips with friends, or again the business environment. 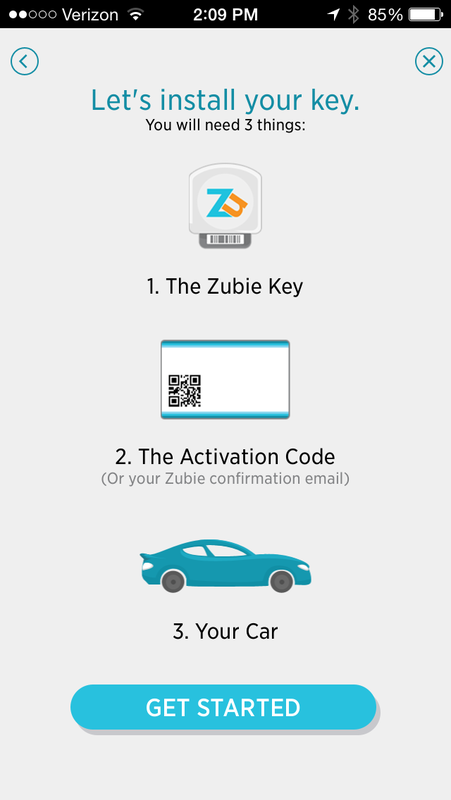 Again all of these features take the Zubie to a level that makes it more social, and more detailed. But they go beyond the core competencies of the device, in my eyes. 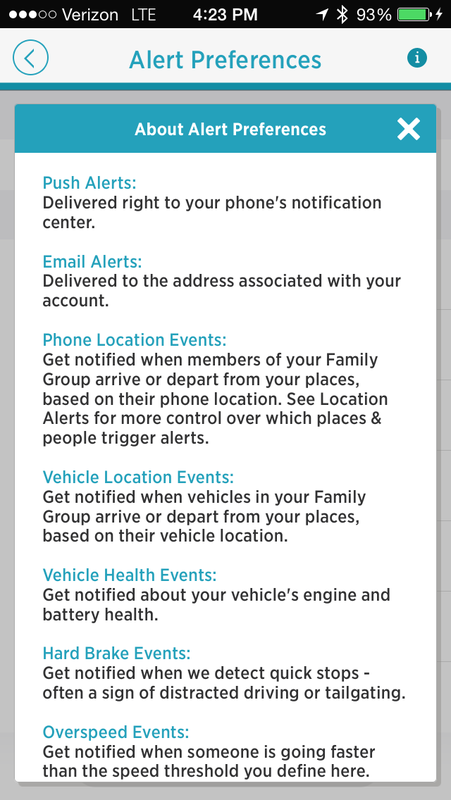 (Except for the alerts related to locations, which would have huge merits with kids who drive, or a company/fleet). 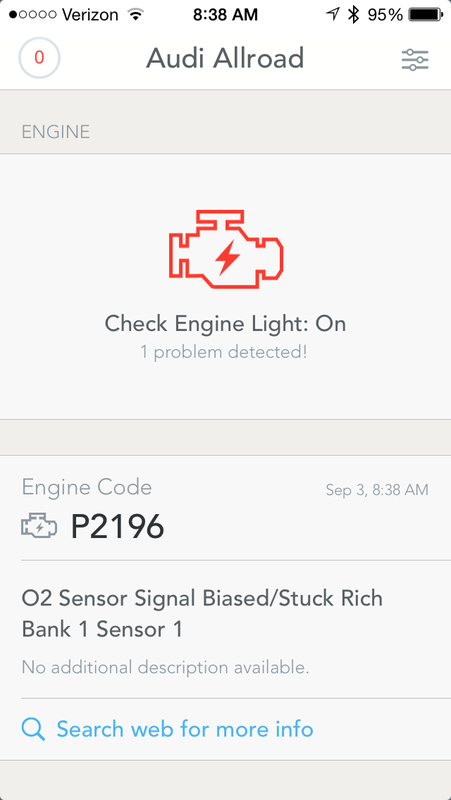 Even though you cannot reset the service indicator, you do get a great deal of visibility to the engine health, as you can see above. 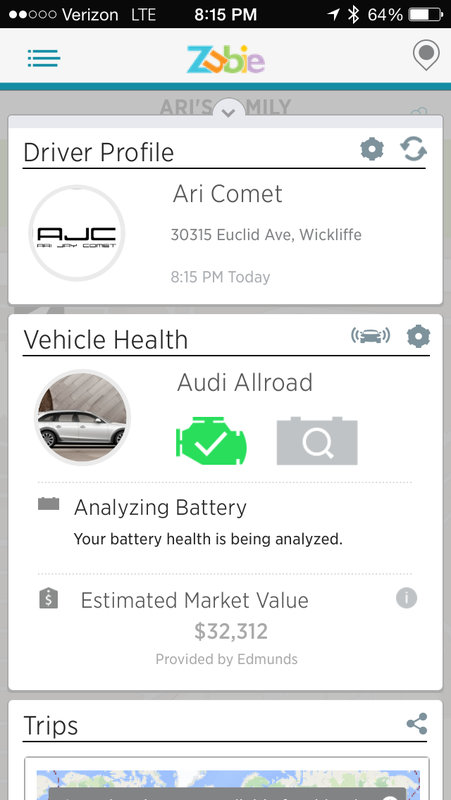 You even get a battery health feature in the Zubie which can not found in Automatic. 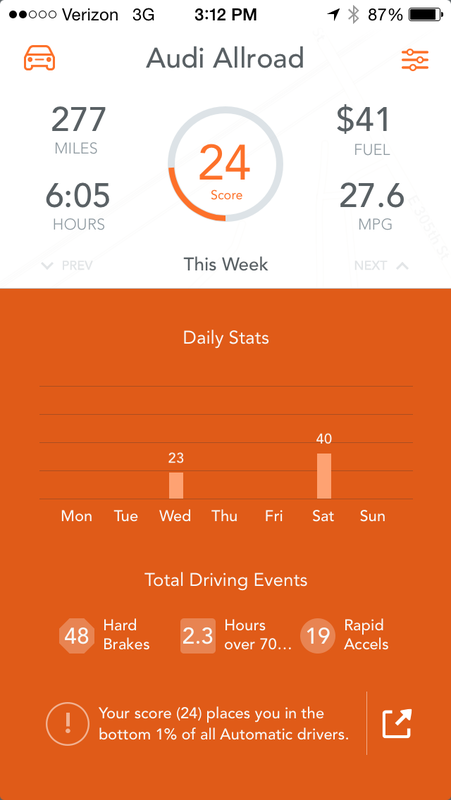 Driving score data is pretty much the same, though the Zubie adds night time driving and idling to its metrics. With the Zubie I did miss the audio alerts that the Automatic offers, and was surprised that I didn’t get ANY hard stops or accels in the Zubie, honestly. I’m not sure if those would have shown up the same way (on the Automatic you can actually see where, on the map, those violations appear). 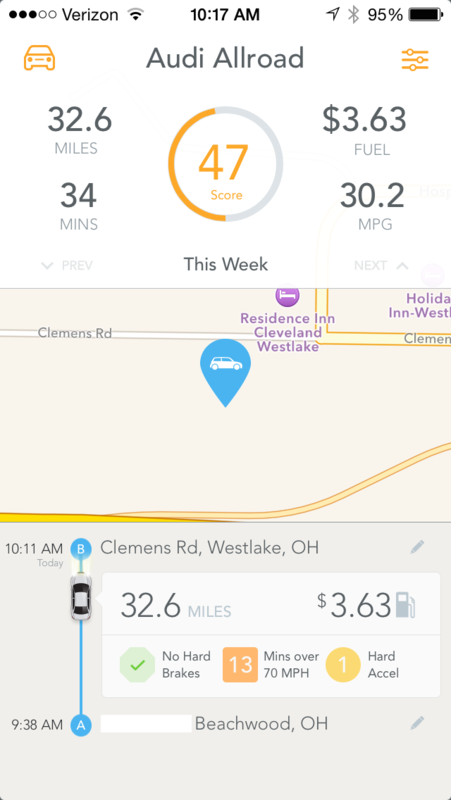 Trip data on the Automatic shows you MPG, which is missing from the Zubie trip data. 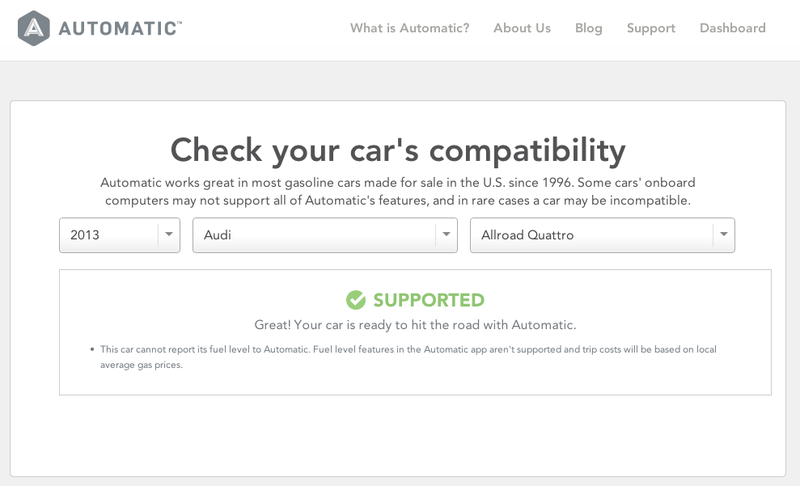 They use a similar method to estimate fuel costs that Automatic does, though the folks at Automatic have talked recently about adding features to their app that will mimic what Fuelly.com offers. 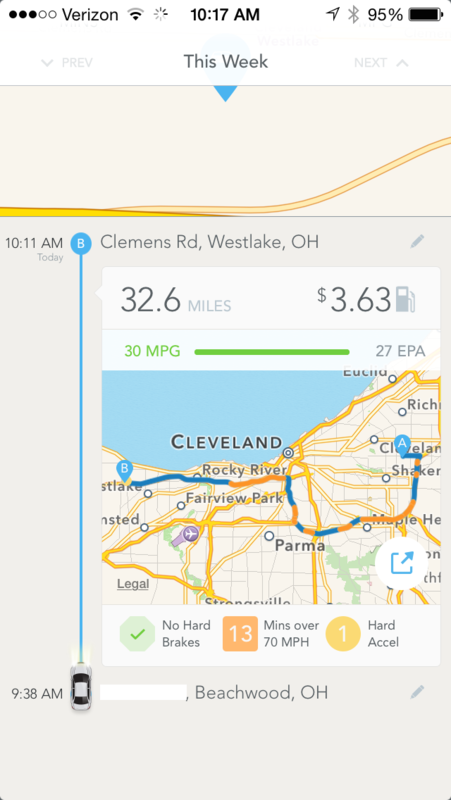 I’d like to see the MPG data, rather than just the total cost-per-trip estimate. Because I obviously could not run both devices at the same time I could not compare them to each other for “trip cost” data here. Deciding which one of these devices is better than the other proved a bit easier than I actually expected. Going in I had really figured I would like the Automatic better, particularly when I found the setup process far easier. 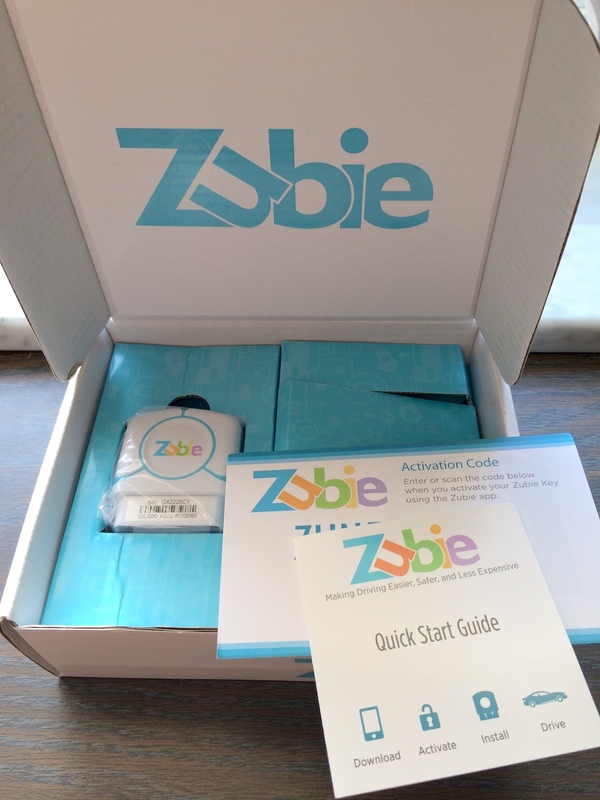 But you cannot ignore the added features that Zubie brings to the table, the “always connected” data connection, and the richer health context — all which make it a winner. But a winner that still has certain faults, which may sway certain buyers back to the Automatic. Those short-comings are: lack of IFTTT integration, on-going costs after the first year, inability to reset the service engine indicator, no real-time audio feedback when you accel/brake too hard (or exceed your set max-speed). On the flip side, features like Crash Alert and Low Fuel Warning also make the Automatic better than the Zubie, should you desire them. 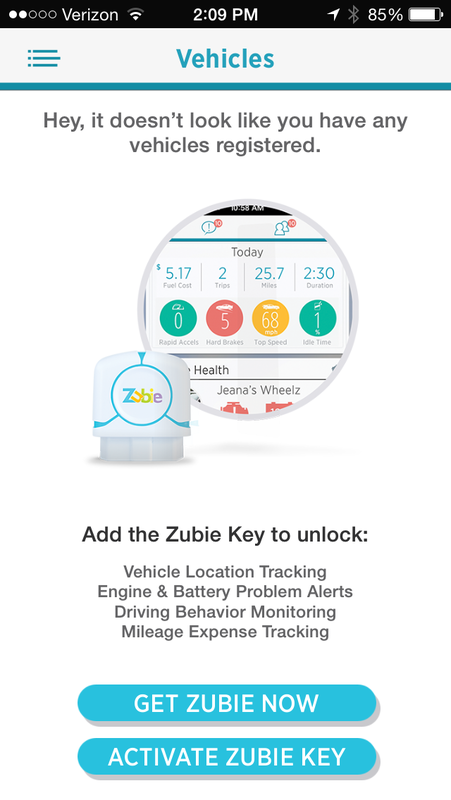 If you are managing “users” who drive cars, be it for business, or your family of multiple drivers, the Zubie‘s system works nicely and doesn’t require people to remember their phones be with them at all times. 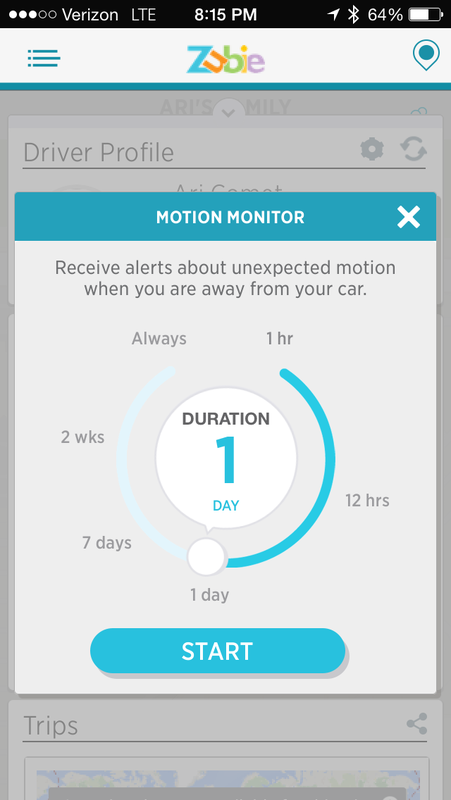 I’d imagine Zubie will eventually add alerts if the car deploys an airbag. And they’ve claimed they plan to open their API down the road for 3rd party access. 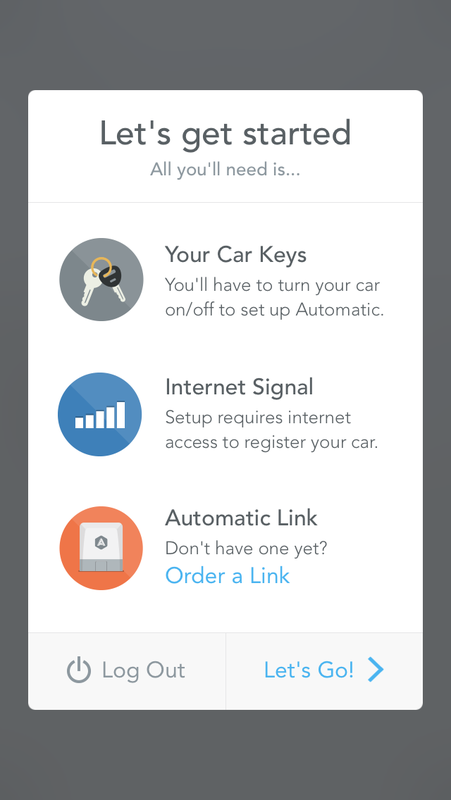 For me it is a flip of the coin— I can see having fun using IFTTT with the Automatic, and I don’t like the idea of being tethered to another subscription service when my future vehicles may eliminate the need for either of these devices. 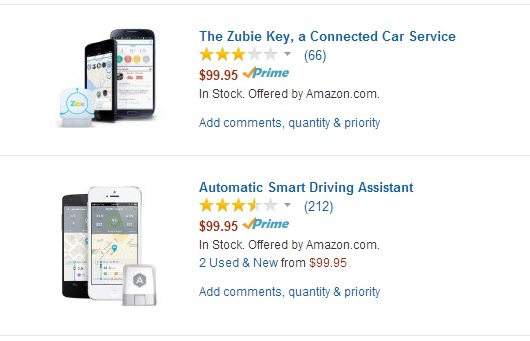 With both the Automatic and the Zubie now sitting on my desk it seems neither would be bad purchase, and at the same price (at least for the first year), I’d recommend both as great ways to help you track and improve your driving dynamics. Have specific questions or experiences about either device? Please share them below in the comments. Drive safe! 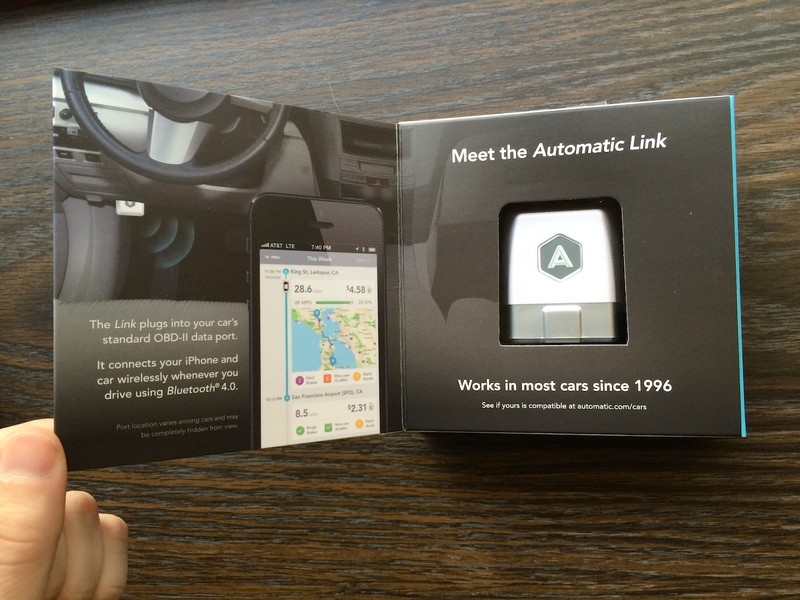 Great review that is well documented and exposed exactly the differences between both connected car solutions.